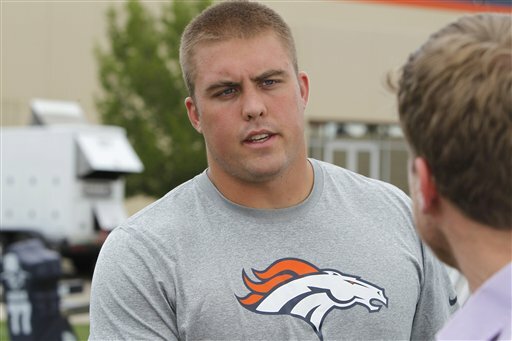 The Denver Broncos waived Air Force Academy grad Ben Garland on Friday, but the defensive tackle might not need to pack his bags just yet. Denver and the 31 other NFL clubs had to cut their rosters to 53 players by 9 p.m. Eastern on Friday, but at noon Saturday, the teams can begin building practice squads of up to eight players. The ESPN.com report linked above called him a “team favorite.” After Action readers already know that. Garland joins Chad Hall and Caleb Campbell as former academy players on the wrong end of the NFL’s roster drawdown.